Interserve won a £5.6m project to redevelop the Cedars Academy in Leicestershire in September. 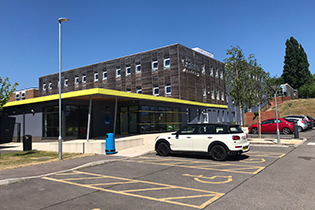 Interserve, the international support services and construction group, has been awarded a contract for the redevelopment of The Cedars Academy, which will be delivered as part of a batch of projects under the Education & Skills Funding Agency (ESFA) Framework. The £5.6m project in Leicestershire will be delivered by the East Midlands construction team based in Syston, Leicester. Phase one of the project will see the design and development of a new secondary education teaching block and the refurbishment of the existing Stonehill building. During phase two, Interserve will demolish three existing blocks and another building will be extended and upgraded. This award continues Interserve’s partnership with the ESFA. In 2017, Interserve secured a place on all eight lots in the mid-value band of the ESFA new £8 billion construction framework. Interserve have worked with the ESFA for more than 20 years and have successfully delivered more than 30 Priority School Building Programme and Free School projects. Richard Scarrott, Divisional Director at Interserve Construction said: “We are delighted to have been selected to deliver this prestigious project and continue our journey working with the ESFA.